This sleeping bag is awesome! I really love it because it is exactly what I was looking for. Surprisingly, this sleeping bag is beyond my expectations. 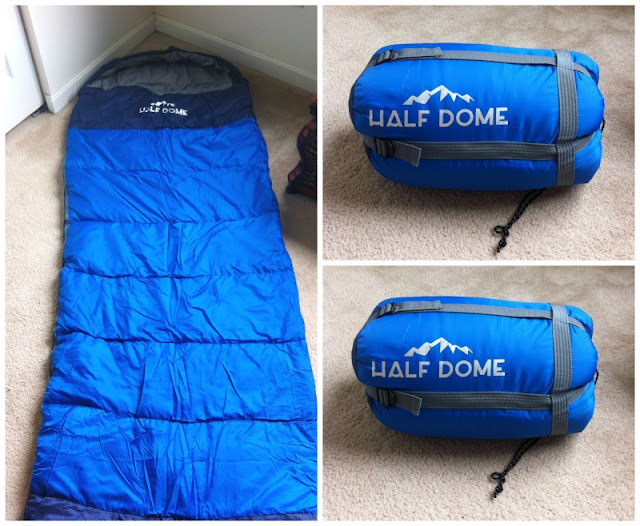 Unlike some other traditional sleeping bags, Half Dome sleeping bag offers incredible features, especially in the design of the head part. My head felt warm because I can adjust the hood and lock in heat. I was impressed that when I slept in it, I felt very comfortable due to the cotton fill material. With its water-resistant polyester, I do not need to worry about getting wet. I was thoroughly impressed. This is definitely a great product!! By the way, when it rains, camp inside!